Lost In Translation. Talking To My Kids. Sometimes things get lost in translation, like when you are traveling around the world. But mostly it happens, every single day when you are a mom. So if you are new mom and have yet to experience things, I will give you a few examples. What I say: Put on your shoes. What my kids hear: Run around the house and destroy everything in your path. What I say: It’s time to go. What my kids hear: Do all the things you forgot to do. Also, go to the bathroom, and then start playing in the sink. What I say: Lets paint a picture. What my kid, especially my toddler, hear: Lets paint our entire bodies, paint the floor, bonus points for each hand print on the wall and appliances. And to finish it off with a perfect score, suddenly develop a fear of water. What I say: Bed time! What my kids hear: Let out a burst of energy equal to an atomic bomb. What I say: Dinner time. What my kids hear: Suddenly hate all food, and suddenly become starving after dinner. What my kids hear: Forget how to read. What I say: Clean up your room / put away laundry. What my kids hear: Go to your room and play with every single item in there, and make an even bigger mess. What I say: Five more minutes till we leave. What my kids hear: We are never ever going to leave! What I say: Stay still. What my kids hear: Move around as much as possible. What I say: Go play nicely and quietly with your brother. What my kids hear: Go start a war and scream and fight as much as possible. What my kids hear: Yes, or ask a grandparent. What I say: Help clean up after dinner. Or help with anything around the house really. What my kids hear: Suddenly develop a tummy ache or have to go to the bathroom. What I say: Go have a shower or bath. What my kids hear: Have a water fight with imaginary friends and soak the bathroom. 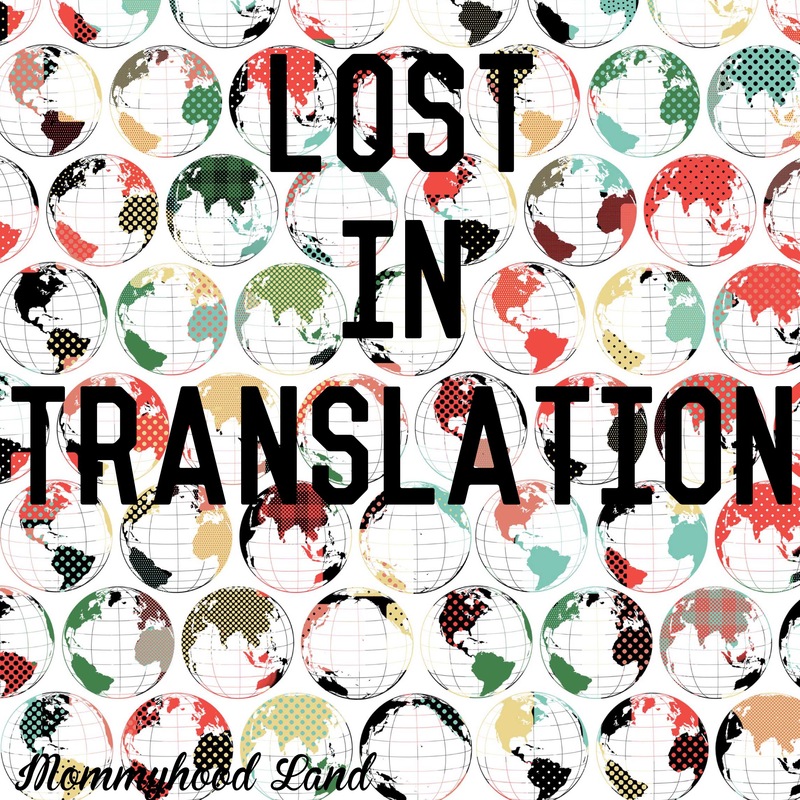 Do you have any experience with things getting lost in translation with your kids? I would love to hear it.